We believe that choosing rhinoplasty surgery is a decision that comes after years of consideration. We know that you have mixed emotions ranging from anxiety and fear to excitement and happiness. Being able to look yourself in the mirror and see a reflection that suits the ideal image of yourself in your mind is an exciting thought. It is for us too. We love being a part of your transformation both internally and externally. 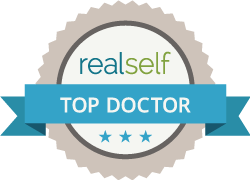 Knowing that the quality of your life will only get better, once you no longer have to weigh down your thoughts over rhinoplasty surgery, and you can be 100% you. With Dr. Oakley Smith, you have the highest chance of a successful procedure without jeopardizing the integrity of your natural facial structure. Experience over the years combined with his natural artistic abilities is giving Dr. Smith an advantage over all other surgeons in the Country. Much like a professional artist, Dr. Oakley Smith has total control over his craft. Paying the utmost attention to detail when performing a procedure while carefully shaping the nose like an artist would a sculpture. We take an empathetic approach when getting to know you, so we can truly understand your concerns and desired outcome. We are 100% honest around the procedure and expected results. If we don’t believe it’s possible, we tell you. Dr. Oakley Smith is a Rhinoplasty surgeon full time, and a painter / sculptor in his spare time. You are truly in the hands of an artist.